In the previous blog of this series we have seen that Mattogno’s self-projecting accusation whereby Desbois adopts a "faith-based" methodology in his research is not supported by the source Mattogno cites in support of this accusation, while on the other hand Mattogno’s writing about Operation 1005 shows that he knows or cares little about the "historiographical and scholarly methodology" he invokes. In this blog, we will have a look at further attacks on Desbois’ methodology in Mattogno’s critique. In the 3rd section of his "devastating" article, headed "Numerical nonsense", Mattogno takes issue with Desbois’ assertion, during an exhibition of his research finds in Paris on 20-30 June 2007, whereby "testimonies gathered by the Yahad, systematically compared with written documentation, have enabled the discovery of more than five hundred previously forgotten mass graves and the collection of material evidence relating to the genocide (weapons, cartridge cases, ammunition)". Conveniently ignoring that Desbois is referring to a convergence of various elements of evidence including but not limited to eyewitness testimonies, Mattogno hollers that "the presumed "discovery of more than five hundred mass graves" is a shameless lie", on grounds that "with the exception of 15 graves, with regard to which many objections can nevertheless still be raised, Desbois never located one single grave, but rather, areas in meadows, woods or agricultural lands in which he claims mass graves exist, based on mere testimonies" (which Mattogno will try to discredit as best as he can). The unscholarly dismissal of an important source of historical evidence as "mere" testimonies aside, the above can be safely called a shameless lie of Mattogno’s, who tries to create the impression that Desbois uncritically assumes that there is a mass grave wherever local villagers tell him there is one. Actually, as mentioned in several parts of Desbois’ book, physical traces found on site and evidence recorded in German and/or Soviet archives are also important elements in identifying a murder site. Physical traces may include human bones brought to the surface by robbery diggers, like in the cases of Khvativ and Bakhiv, but cartridges found on site are considered by Desbois the main indicator of a mass shooting. If such cartridges are from weapons manufactured by only one of the belligerents, namely from German weapons, the conclusion is warranted that the shooting from which these cartridges were left was not combat, but one-sided killing. If eyewitnesses describe the site of this one-sided killing as the site of a mass shooting carried out by German forces, the conclusion that the cartridges are lying where the victims of such mass shooting were shot and buried is logically warranted, especially if there are also human remains visible and/or if evidence recorded by German and/or Soviet investigators points to a massacre carried out by German forces in the respective area. Desbois’ team studies available evidence from German and/or Soviet archives to get an idea of what happened in the area they intend to investigate. Then they approach local inhabitants old enough to have witnessed these events, independently of each other if there are several such locals. Then they endeavor to go with the witnesses to where the same recall the killings to have taken place and reconstruct the crime scene from the witnesses’ vantage point. Finally, they corroborate their finds with what physical remains of the killing, especially cartridges, can be found on the ground. Where several different elements of evidence point to a mass killing by German forces at a certain place, there is little if any room for reasonable doubt that such mass killing happened at that place. And if, according to the interviewed eyewitnesses and/or the archival evidence consulted, the killing took place according to the method preferred by an officer responsible for many of the shootings, SS-Obergruppenführer Friedrich Jeckeln (the so-called "sardine-packing" method, in which one row of victims was forced to lay down inside a grave and killed by a shot in the neck, then another row was made to lie on top of the previous one and shot in the same manner, and so on), or if the evidence points to the victims having been otherwise dispatched with a single shot for each, the number of cartridges can even serve as an indicator of the number of people killed, provided that the site was not disturbed after the war. If, on the other hand, the evidence points to a massacre performed by sustained firing from machine guns or machine pistols, the number of cartridges must be assumed to exceed the number of victims, which can only be estimated on hand of the interviewees’ testimonies and/or the archival information obtained. But even in such cases, the presence of cartridges from only one belligerent source hardens the identification of a mass murder site by local eyewitnesses. The above shows that Degenhart’s testimony about the use of Russian sub-machine guns refers specifically to the Rumbula massacre, and not to Jeckeln’s methodology in general. It doesn’t follow from the use of Russian submachine guns at Rumbula, where a particularly high number of people had to be killed, that such weapons were used wherever mobile killing squads applied Jeckeln’s method (which other commanders of mobile killing units were horrified by and disapproved of) or certain features of that method (namely having the victims lie down on the ground and killing them with a shot in the back of the head). German machine pistols also allowed for firing single shots, and the marksmen of mobile killing squads are known to have also used rifles or pistols. So what can be inferred from Degenhart’s testimony is that the finding of only Russian cartridges at a mass shooting site would not necessarily be an indication against the shooting having been done by German forces, whereas Mattogno’s inference that Russian weapons or ammunition were used by Nazi mobile killing squads as a rule (at least when they applied the Jeckeln method) is utter nonsense. Rather than produce such nonsense, Mattogno should try explaining what, other than a mass shooting carried out by German forces, the finding of only German cartridges at a site described by local bystander witnesses as a German killing site could logically mean (especially when a German massacre in the respective area also becomes apparent from documents and/or testimonies kept in German and/or former Soviet archives). Even the number of alleged victims is absurd. In his numerical tally of Holocaust victims, under the heading of "Open Air Executions," Raul Hilberg supplies the total figure of "more than 1,300,000," which includes: Einsatzgruppen, other heads of the SS and Police, Rumanian and German armies in mobile operations; shootings in Galicia during the deportations; executions of prisoners of war and shootings in Serbia and elsewhere. Between 1941 and 1944, approximately one and a half million Ukrainian Jews were murdered during the German invasion of the Soviet Union by Germany. The immense majority were shot by the Einsatzgruppen (mobile killing units deployed in the Eastern theater), the Waffen-SS, the German police and by local collaborators. Only a minority were killed after deportation to the extermination camps[…]. • About 1.4 million Jews in all of Ukraine came under German rule. • Of these the Einsatzgruppen and other units killed about 300,000 in 1941, in the area under military administration until the spring of 1942. • 20,000 Jews fell victim to pogroms in June/July 1942. 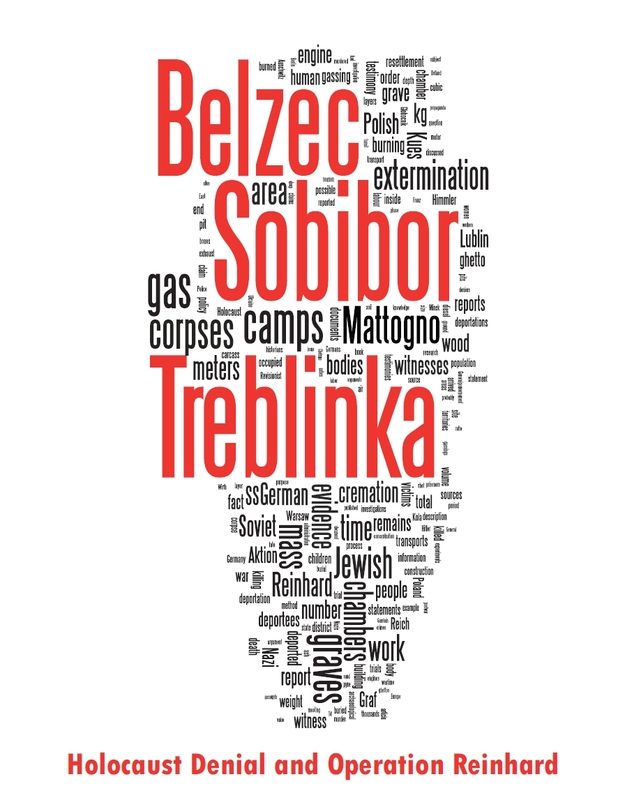 • 530,000 Jews from the Galicia district were killed either on site or in Bełżec extermination camp. 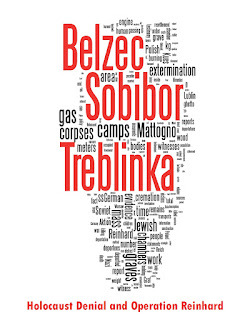 • 185,000 Jews from Transnistria were killed by German and Romanian forces. • 350,000 Jews were murdered in the Ukrainian parts of the Reichskommissariat Ukraine. Pohl’s figures (which do not include Hungarian Jews in labor battalions, Jews deported to Transnistria from Romanian Bessarabia and North Bukovina and Ukrainian Jews who became prisoners of war) add up to 1,385,000. Regarding Bełżec Pohl provides no figures, but according to his colleague Thomas Sandkühler about 255,000 Jews from the Galicia district were deported to that camp. That would be about 18.4 % of the total killed, the balance of 1,130,000 (81.6 %) being killed in mobile murder operations. Several times during our Sunday lunches I tried to ask questions when he was absent. As soon as I pronounced the words Rawa-Ruska everybody started crying, especially Marie-Louise, my grandmother. Rawa-Ruska echoed like a painful family mystery. What a strange name! I didn’t even know what country Rawa-Ruska was in. It was nowhere. It was impossible to situate it. Was it in Russia, Poland, or somewhere else? Just once, he uttered these words: “For us, the camp was difficult; there was nothing to eat, we had no water, we ate grass, dandelions. But it was worse for the others!” That sentence was engraved in my consciousness as a child for all time. I realized that he couldn’t say any more about it. But who were the others? I was 12 years old when I saw images of the Holocaust in the municipal library in Chalon for the first time. There was a large album with photographs on a varnished wood display stand. I opened it and turned the pages. I saw photographs of the concentration camps for Jews at Bergen-Belsen. I remember closing the book quickly and thinking to myself: “Now I understand everything! I understand grandpa’s secret. The others were the Jews!” I ran out of the library. Shocked by my discovery, I didn’t tell anyone about it but since that day, I have always sought to understand what happened, what the tragedy was that my grandfather had been forced to witness. One wonders what part of Desbois’ above-quoted writing could have been too hard for Mattogno to understand. Desbois describes himself as a "man of the cloth," who adopts a "faith-based" methodology to combat revisionism, with recourse, euphemistically speaking, to certain "adjustments of the truth." This distortion is so flagrant that it’s impossible to give Mattogno the benefit of doubt here. He is clearly arguing against better knowledge. In the last paragraph of the "Numerical nonsense" section, Mattogno provides a less dishonest but notably feeble criticism. Desbois recalls that in the Polish city of Częstochowa, during a nighttime walk in which he found himself "alone in the dark", he asked companions walking far ahead of him where they were, and someone answered "Not far from the Ukraine" – probably a joking remark, but one that in Desbois evoked memories of what his grandfather had told him about Rawa Ruska in Ukraine. Mattogno considers it pertinent to point out that Częstochowa is actually closer to Germany than to Ukraine (so what? ), and boldly concludes that this shows Desbois’ account to be "merely a literary fiction". The impression left by Mattogno’s pointless wisecracking is that Mattogno is aware of how little he has to put up against Desbois’ research. This impression is hardened by the ill-reasoning and distortions in Mattogno’s attempt to discredit witnesses interviewed by Desbois, which will be examined in the next part of this series. That was in 2007. As of the date of this writing, according to the USHMM page "Holocaust by Bullets" ([link]), the researchers of Yahad – In Unum "have crisscrossed the countryside in Ukraine, Russia, Belarus, Poland, Republic of Macedonia and Moldova, Lithuania, and Romania in an effort to locate every mass grave and site at which Jews, Roma, and other victims were killed during the Holocaust" and "have identified 1,744 of an estimated 2,500 such locations". Holocaust by Bullets, pp. 52-59, 105-116, 134-136, 145-147. Excerpts are transcribed in the reference library thread "Father Patrick Desbois, "The Holocaust by Bullets"" ([link]). For example the executions mentioned in the blogs "Pits at a «Resettlement Site»" ([link]) and ""... otherwise you’ll think that I’m bloodthirsty"" ([link]). Andrew Ezergailis, The Holocaust in Latvia, 1941-1944: The Missing Center, United States Holocaust Memorial Museum; 1st edition (March 1, 1996), pp. 240-241, 265. See the Wikipedia page "MP40" ([link]). For instance at Simferopol, see the blog "That's why it is denial, not revisionism. Part VIII: The Simferopol Massacres" ([link]). For instance police secretary (Polizeisekretär) Walter Mattner, administrative officer with the Local SS and Police Commander at Mogilev, who on 2.10.1941 wrote to his wife: "Tomorrow I shall for the first time have the opportunity of using my pistol. I have taken along 28 rounds. This will probably not be sufficient, but another comrade will lend me his pistol or rifle." See the blog ""... otherwise you’ll think that I’m bloodthirsty"" ([link]). Dieter Pohl, "Historiography and Nazi Killing Sites", in: International Holocaust Remembrance Alliance (editors), Killing Sites Research and Remembrance, 2015 Metropol Verlag + IHRA, Berlin, pp. 31 to 46 (p. 37). Pohl is quoted in the blog "Nazi killing methods" ([link]). Dieter Pohl, "Schauplatz Ukraine. Der Massenmord an den Judem im Militärverwaltungsgebiet und im Reichskommissariat 1941-1943", in: Christian Hartmann, Johannes Hürter, Peter Lieb, Dieter Pohl, Der deutsche Krieg im Osten 1941-1944. Facetten einer Grenzüberschreitung, R. Oldenbourg Verlag München 2009, pp. 156-196 (pp. 192 f.). Thomas Sandkühler, Endlösung in Galizien, 1996 Verlag J.H.W. Dietz Nachfolger GmbH, Bonn, page 461. Holocaust by Bullets, pp. 6 ff. Fine work as usual, Roberto. Mattogno's an idiot, and those who fall for his crap and present it as "scholarly" are idiots too. This is awesome. I would just add that the casings and a rifle part can be seen at the USHMM site, as per my comments to Part 1 of the series. The pistols issued to EG C are also documented online. Google RSHA PPK. I understand from online photos that the MG 34, the weapon shown in the Desbois find in the Lvivska region, was used at Dubossary. Some SS units had MG 34 sections e.g. Leibstandarte Adolf Hitler. At this point, it seems that Mattogno find himself trapped in the same Cul-De-Sac that the Daft Rabbit found himself after Statmech's expose of his "video". He is confronted by two options, admit to systematic distortion and manipulation of textual sources, or admit to an inability to comprehend or understand the sources at hand. I call it the Dishonest or Dimwit Dilemma, and it seems to confront many a denier, Jansson too. He is just producing fodder for denier drones at this point. Something for Hargis to quote. I doubt he will respond to these blog posts except in an ad hominem manner.